I’ve never wanted to climb Mt. Everest but I have always wanted to sip Tibetan tea in the shadow of the Himalayas just to see them. As I sat having dinner on the patio at the Cliffside Restaurant and watched this mountainous storm crest over St. George I thought, It might not be the Himalayas but it’s pretty damn majestic right here. 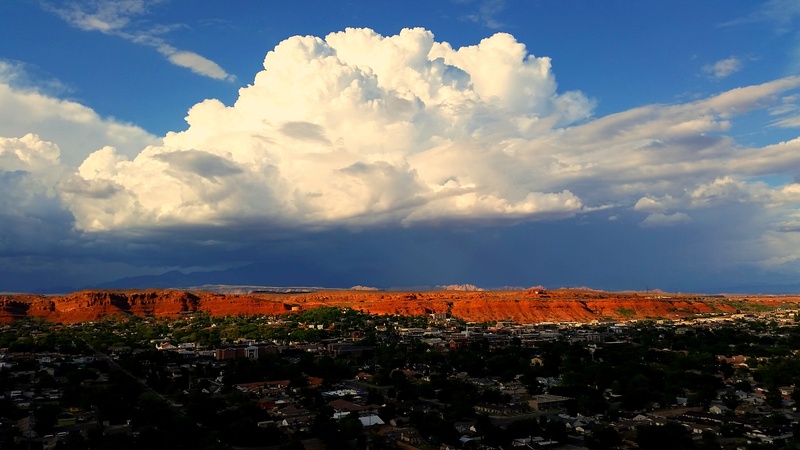 Posted on August 28, 2015, in Film, Art & Photography and tagged cumulus clouds, giant clouds, monsoons, southern utah, southwest storms, St. George Utah, storms. Bookmark the permalink. Leave a comment.